Elizabeth the First was born more than 400 years ago in 1533. 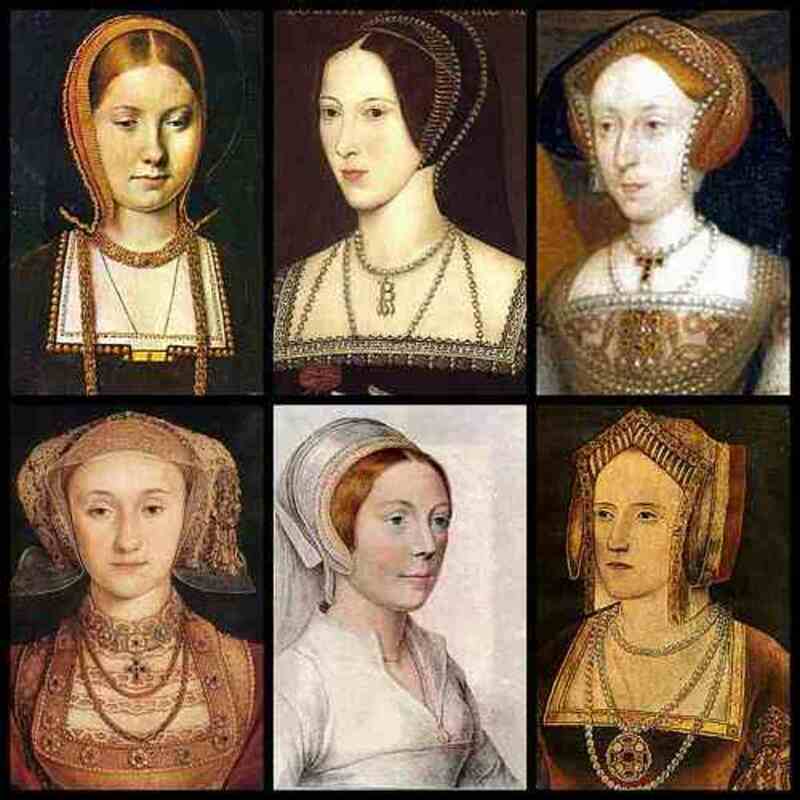 She was the daughter of Henry VIII and Anne Boleyn his second wife. All throughout her childhood she was ignored by the King, and nobody took her seriously enough to believe she would ever be Queen. After Henry died, his son Edward VI was King for six years until his death on July 6th 1553 at the age of 15 and a half. 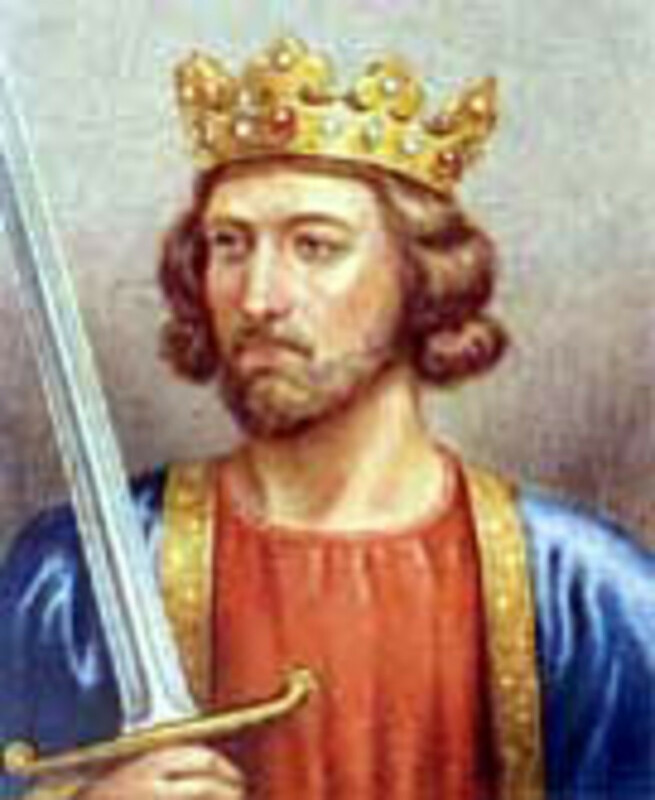 Henry's first daughter Queen Mary took the throne, and imprisoned Elizabeth, as she believed she might be a contender for the Crown. Mary was aware of the fact that many people wanted Elizabeth to be Queen as she was much more popular and they believed that the Country should be Protestant. Edward had continued his father's faith and hadn't changed it since his father's death. Mary was not giving it up that easily. The main reason was that Mary was a Catholic. And she wanted the whole of England to be Catholic again. Her father, Henry had changed it into the Church of England, or Protestant, and Mary was determined to get it back to the original religion. When Mary died in 1558, Elizabeth took over and became a very strong Queen. One of the first things she did was to unite the religions, both Catholic and Protestant, by making sure that the Church of England, which her father had started, would accommodate Catholics too. Over the years, Elizabeth managed to avoid very expensive wars, right up until July 1588 when the Spanish decided to send over an Armada of Ships to attack England. 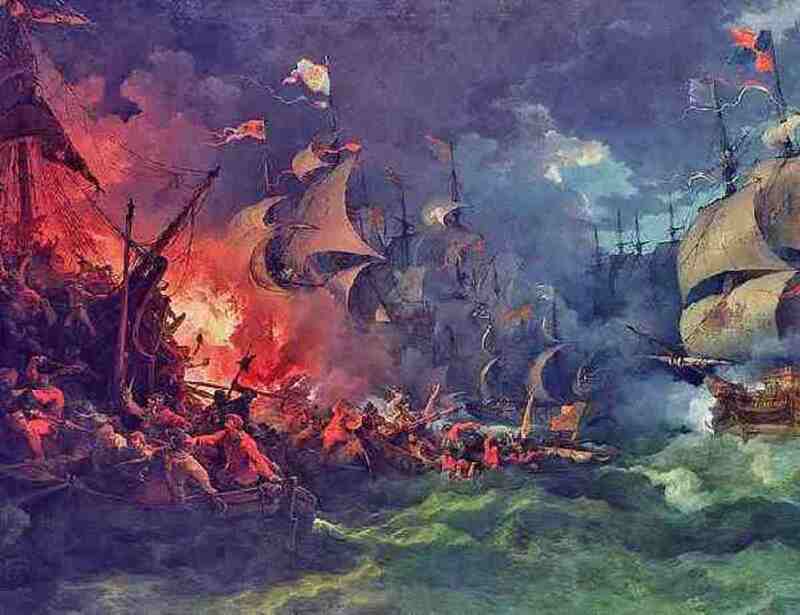 King Phillip of Spain launched over 150 ships to come over and fight Elizabeth. He wanted England to be Catholic again. But he was soon over run by Sir Francis Drake, who sailed in command of a large group of ships and they turned the war around. Also, stormy weather helped to defeat the Spanish. And the war was over. Under Elizabeth’s rule, England began to explore the World, and trade with other Countries, in fact she had made England so successful, her final few years of Reign were known as The Golden Age Of England. Elizabeth ruled for over 45 years. 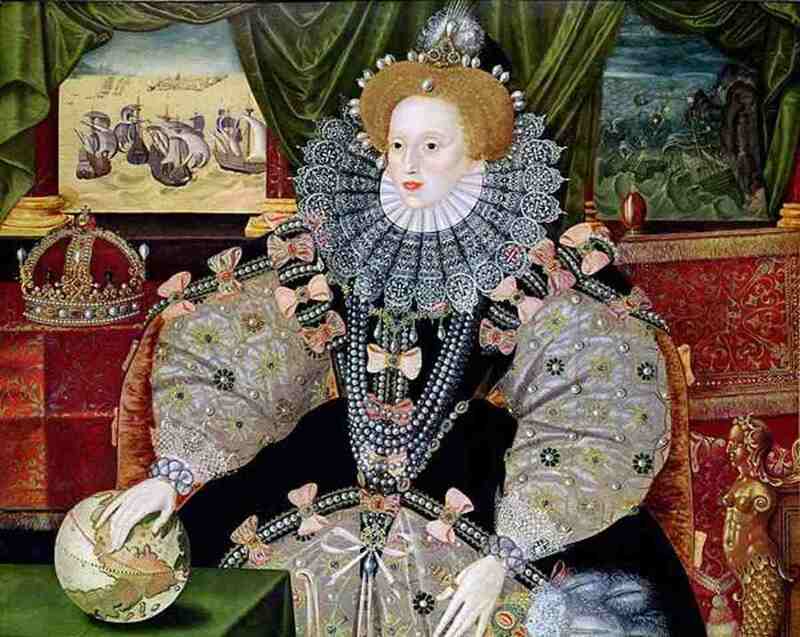 Elizabethan policy and protection of the Country was mainly one of defence. She did try to capture Le Havre in France between October 1562 and June 1563, but was pushed back by some of her so called allies who were aligning with the Catholics. 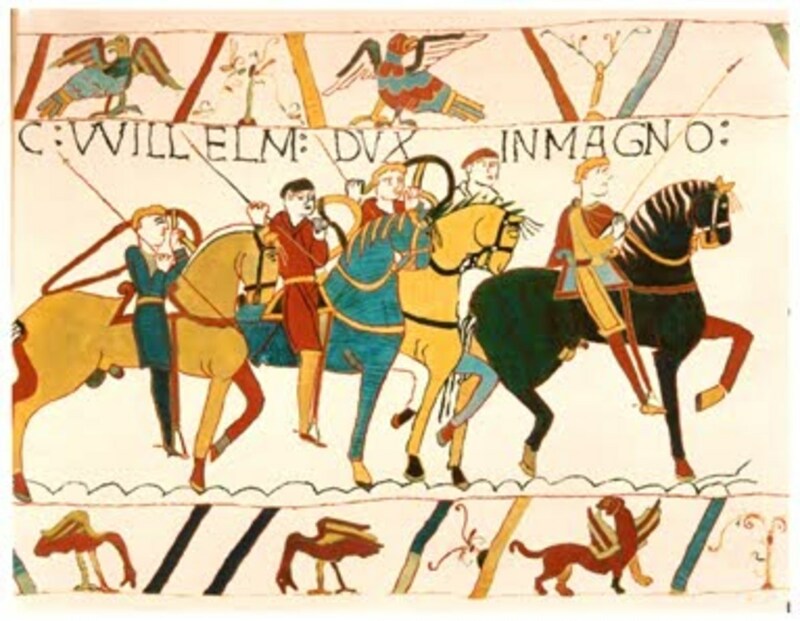 Elizabeth wanted to exchange it for Calais, also in France, which had belonged to the English. But this wasn't to be. Her Fleet of Ships, however did 'Rule the Waves' mainly thanks to Sir Francis Drake who became famous for circumnavigating the globe, and his raids upon Spanish ports and fleets. In 1585 Elizabeth once more became embroiled in conflict with Spain by helping the Protestant Dutch rebels against Phillip the Second. The reason for this was many countries were Catholic, and others were Protestant. Elizabeth wanted to make sure that she had allies that were the same as the English Protestants. The Treaty of Nonsuch between the English and Dutch, was signed in August 1585. This annoyed the Spanish and hence started to cause the trouble that would end in the Spanish Armada in 1588. Timeline for Good Queen Bess! 1533 - Elizabeth was born at Greenwich Palace. 1536- On May 2nd, Anne Boleyn, Elizabeth's mother, was arrested and locked away in the Tower of London. She had been tried and found guilty of treason and adultery. She was executed on May 19th. 1537- King Henry got married again to a lady called Jane Seymour. Jane had a baby and called him Edward. This made him Edward VI. Sadly Jane died in childbirth. Soon after, Elizabeth was declared illegitimate and placed in Hatfield House, Herfordshire. 1540- King Henry had married Anne of Cleves, but this was annulled and he went on to marry Catherine Howard. 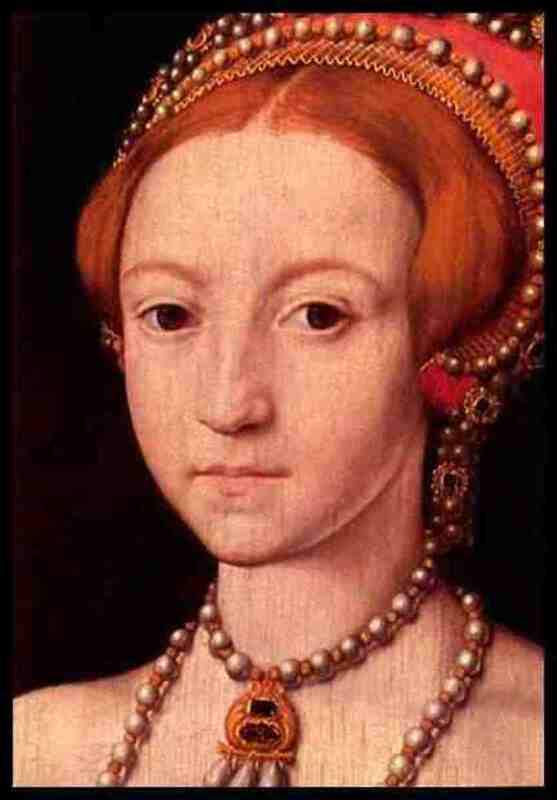 1542 - Henry has Catherine locked into the Tower for treason, where she is then executed. This was a terrible time for Elizabeth as she was very fond of Catherine. The King then married Katherine Parr. 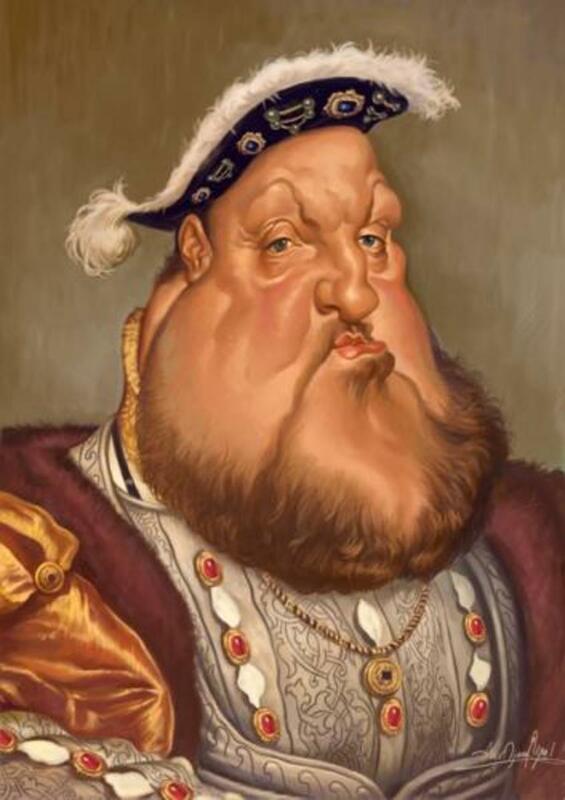 1547 - King Henry Dies, Edward becomes King. Elizabeth moves in with Katherine and her new husband, Thomas Seymour. 1551 - Elizabeth moves back into the Court of King Edward. 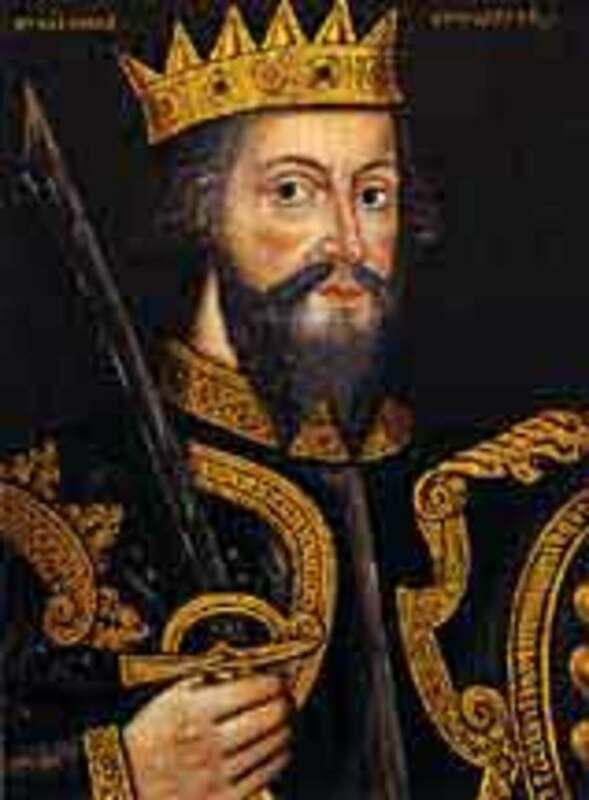 1553- King Edward dies of Tuberculosis. He names Lady Jane, his cousin to be the next Monarch. Lady Jane takes the throne, but is dethroned on the 19th July. After only nine days of being Queen, she is executed and Mary, Henry's daughter, becomes Queen. She is known as Mary the First, but she also has a rather nasty name too. She is called Bloody Mary because she murdered many Protestants in her wish for England to become a Catholic Country again. 1558 - Mary dies, and Elizabeth becomes Queen on 17th November. 1559 - 15th January Queen's Coronation. The reign of Elizabeth the First begins. Mary was Elizabeth's cousin. She was a Catholic, but also Elizabeth's heir to the throne. There were many plots by Mary's supporters to get rid of Elizabeth and place Mary on the throne. This would mean that once again the Catholic Church would convert England back to Catholicism, and of course produce the Stuart Royal Line. Elizabeth eventually realised that she had to do something about this threat to her Monarchy, and with a heavy heart decided that she would have Mary Queen of Scots executed. She didn't want to do this, and in fact appealed to Mary through messages, asking for her allegiance, but sadly it wasn't to be. Mary was determined to become Queen, So in 1587, Elizabeth signed the document that would order the execution of Mary. Ironically, after Elizabeth's death, James, the son of Mary Queen of Scots took the throne. He had been taken away from Mary at a young age, and brought up a Protestant. So the long line of Tudor Kings and Queens had ended. Now the Stuart line began. Elizabeth was the very first Monarch in History to give her name to the age she was living in. In other words, no other King or Queen before her had ever used their name to cover a period of time. For example, we know that if you are talking about her reign it would be referred to as Elizabethan times. If you bought furniture from that period in History, it would be Elizabethan furniture. Ever since then we have had Georgian times, and of course Victorian. 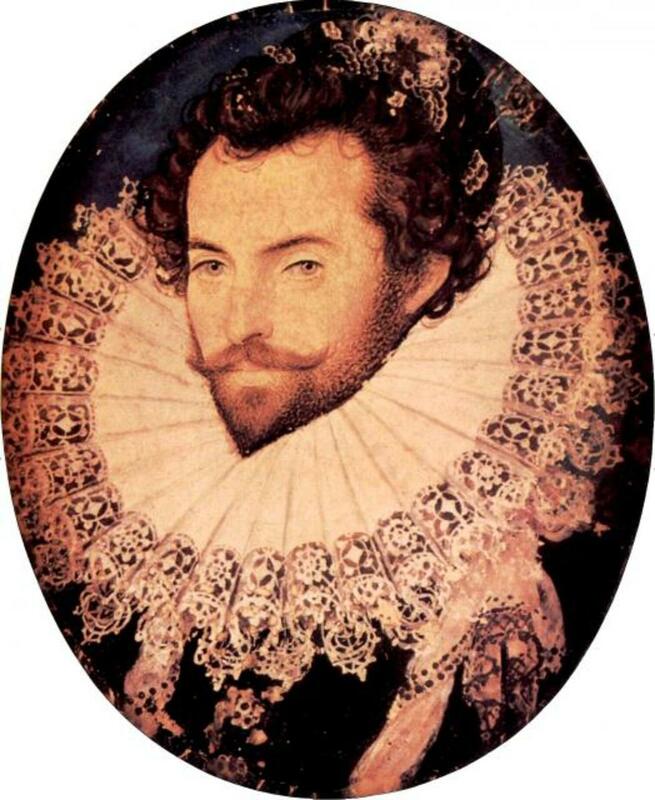 Walter Raleigh was one of Elizabeth's courtiers. This meant that he worked for her. She knighted him and soon he became the Captain of the Guard. One of his main tasks was to travel the World and trade with foreign Countries, and try to bring back a new and exciting discovery for his Queen. On one of these voyages, he went to America and set up an English Colony in Virginia. This was where he discovered two of the most well known items. One was tobacco, and the other was potatoes! Can you imagine not having potatoes today? Well, we wouldn't have had them if it wasn't for Sir Walter Raleigh! 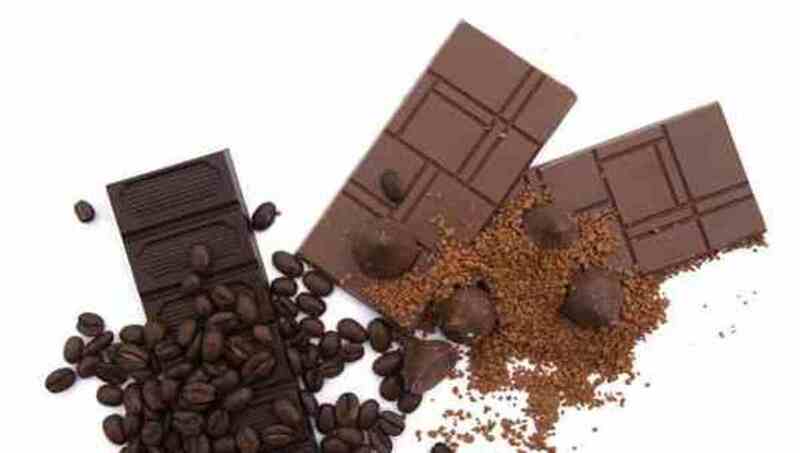 Coffee and Chocolate! Thanks Good Queen Bess! 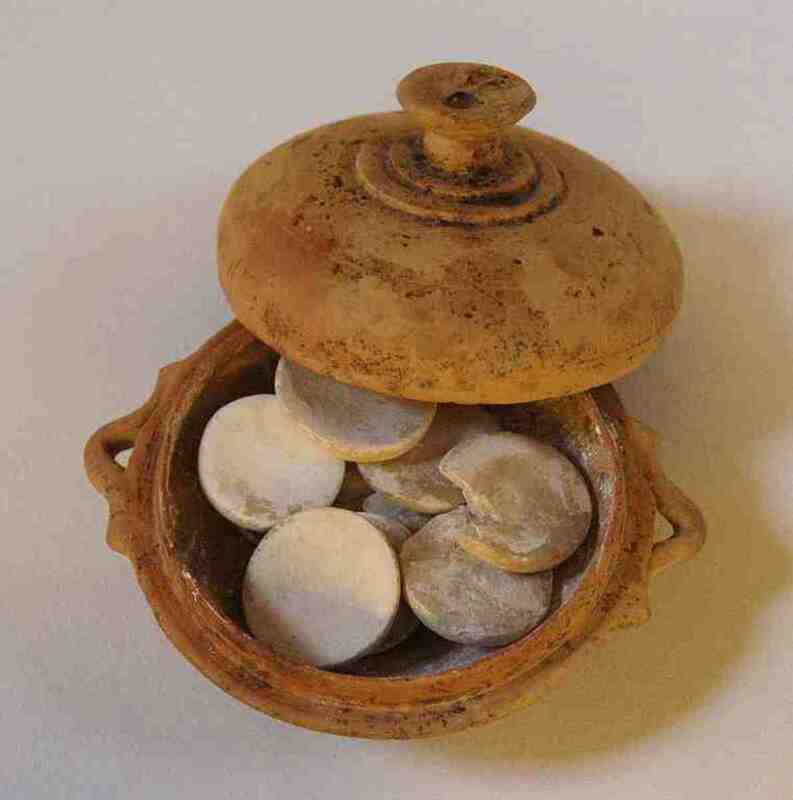 New Foods Introduced to England In Elizabethan Times! As we know, the good old potato was brought back from America in Elizabeth's time, but what other food do we take for granted now, that we didn't have back then? America was called the New World, and was full of great food! Tomatoes, Turkeys, Maize, Vanilla, and Kidney beans! And that's just for starters! Along with Spices too, we then had Pineapples, Lima beans, Chilli Peppers, and Red Peppers. And don't forget the Peanuts! Then of course there's, Tapioca, Corn, Pumkin, Avocado, Squash and Coffee! But the best I have left until last! Chocolate! Wow! Can you imagine living without Chocolate? In 1652, Elizabeth caught Smallpox, and her face became so pitted with scars she always painted her face with vinegar and white lead to cover it up! Elizabeth always used lots of wigs to cover her hair, and many people believed she was bald underneath! But this was just a rumour, she did in fact have red hair, but it got scraggly and tatty when she got older! She was very superstitious, and believed someone had put a curse on her! She demanded her Astrologer to undo it! It doesn't say how he did it though! Elizabeth swore. In fact she cursed such a lot, that whenever she got into an argument or got angry, everyone blocked their ears! Elizabeth never married. There were a number of reasons. Some people thought it was because she didn't want to marry because of the way her father, Henry VIII had treated his wives. She didn't like the thought of being told what to do by a husband. But many people believed it was because she had always been in love with Robert Dudley. He was already married to Amy. Soon after Elizabeth became Queen, Dudley's wife died in mysterious circumstances. She fell down the stairs. Suspicion fell on Dudley's head. 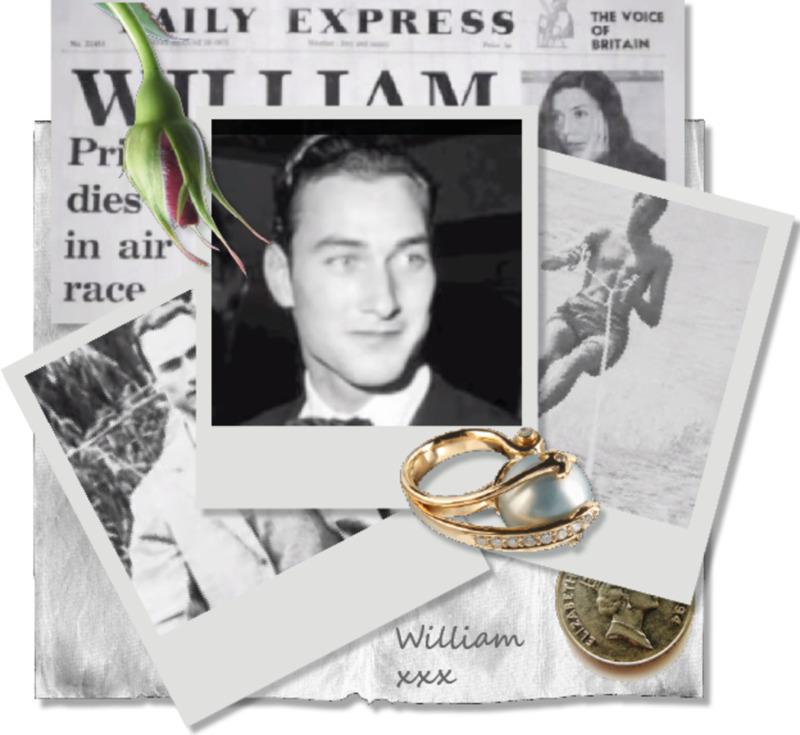 The Court presumed he had killed his wife so that he could marry Elizabeth. Even though he was cleared of this slander, the Queen knew she couldn't marry him because the rumours would never go away, and it would harm her throne. She was forever known as the Virgin Queen. She was also known as Good Queen Bess! Because the people loved her, and they lived in peace and prosperity when she was on the throne. She came from the House of Tudor, so she was known as Elizabeth Tudor. She was the last of the Tudor Monarchs, as the next in line after her was James Ist of England, also known as James VI of Scotland, and he was a Stuart. Elizabeth the First became Queen at the age of 25. Queen Elizabeth the Second was also 25 when she came to the throne. Test Your Knowledge! Just Click Next To Get Your Answer! The Queen remained healthy until 1602. Then suddenly, upset by the death of her friend Catherine Howard Countess of Nottingham, she became depressed. Then the niece of her cousin also died, and this seemed to be the final blow. Elizabeth, our Queen who had reigned for so many years, suddenly went into decline. Whether this was a physical illness that made her depressed, or just the feeling of loss, we will never know. She died on 24 March 1603 at Richmond Palace. Her coffin was carried down river at night, to Whitehall. The barge that carried her was lit with torches, and could be seen from the embankment. And the hearse was drawn by four horses that wore black velvet. She was buried at Westminster Abbey. Elizabeth, Queen of England and Ireland was no more. England was now ruled by James 1st of England, also known as James VI of Scotland. Thanks Mary, yes I really admire our Lizzy the first. She was a great Queen. She is a strong woman to have done what she had as a ruler during that time. You have done a great job. Thanks midget, yes she was a mighty little thing! lol! thanks! Hi Nell, you've got her life down to a T. Thanks for the stellar facts....I have always remembered her as being the most resilient of ladies who overcame any adversity. I vote this across and share! A really comprehensive and accurate article on Elizibeth I would be fantastic. An e-book or publishable. I would imagine there have been very many academic treatises...No use to follow unless the effort is worth it. Such an effort would really be difficult as to the time frame, false and destroyed records, etc. I think there have been some videos--do you recommend any? Great job, Nell! Love the illustrations, too. Hi, Laura, thanks for reading, yes she was a great queen, thanks! Hi, Rebecca, lol! well done on the quiz! nice to see you, thanks! Such an interesting person, Q Elleibeth I! Nell you've done it again, what good luck I had a chance to get back to hubs so soon, I got to read this and found out tons of things... oh and something must have stuck I did well on the quiz too! Hi, Alastar, glad you liked it, what would we do without all those foods? haha! the forum thingy made me so mad! lol! I hate being called British! 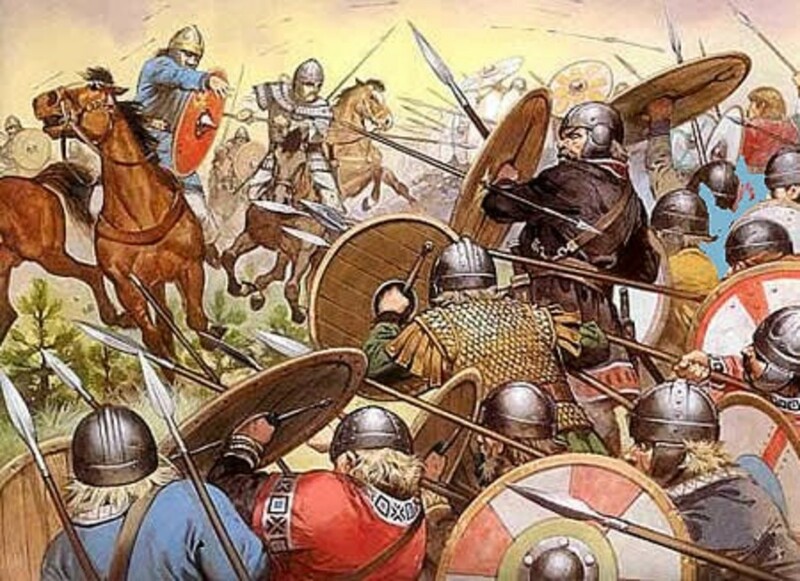 it was the fact that he had said, ' the welsh irish and scottish hate the british! duh! all the above ARE british! I think he meant to say English! haha! the fact is though, we English get fed up to the back teeth with the Scots Welsh and Irish moaning at us, that was History, back then fine, but now? that's what I love about the English, we accept everybody! ( I will get back off my soapbox now!) hee hee! What a brilliant idea, Nell. A lovely hub for kids and adults alike to learn about Queen Elizabeth and the times of the Elizabethan days. Loved the strange facts and foods sections of this hub specifically. Wonderfully written and presented. Thanks! I enjoyed learning from you- this time history! I like learning history in a simple and fun way! I got royal diary of Elizabeth yet this book chronicles the childhood times of then very young Elizabeth. I am amazed to learn that potatoes and chocolates ( some of my favorites)were discovered during her reign! You stated many points immaculately about Elizabeth- her heavy make-up, her alleged affair with Robert Dudley, why she remained a Virgin Queen and above all, her reigning period was known as the Elizabethan Age! Thanks for sharing. Awesome & Interesting. Vote up. Hey Nell I liked those New foods and Strange facts! Thought this was just gonna be for the kiddos but oh no, adults can learn some English history here too. Btw Nell, I saw where you commented earlier that the Scot, Welsh and Irish don't like the English but the English love everybody. Well, I'm Scotch-Irish and love the English so maybe some distance makes the heart grow fonder! Hi, Rolly, nice to see you, and sending you hugs back! lol! Hi, Susan, thanks so much for reading, I love history and whatever I go to write about, it always ends up with something from history! lol! glad you liked it, thanks! Great hub Nell. I love learning about the History of England and this hub was fun to read. Thanks christopher, not sure about the lady though! haha! glad you liked it I should have put Mary there in the first place, that looks better now! thanks! Thanks suzette, I just wanted to write it in a simpler way, so that kids would like it, I am so pleased that you would have used it! that's the best compliment, thank you! A very interesting hub for kids and adults alike;I know that I really enjoyed it and learnt from it also. I really enjoyed this hub. It was informative and entertaining at the same time. Thanks for that Nell. As always, you are a true lady. ...and what is wrong with writing at 3 in the morning? 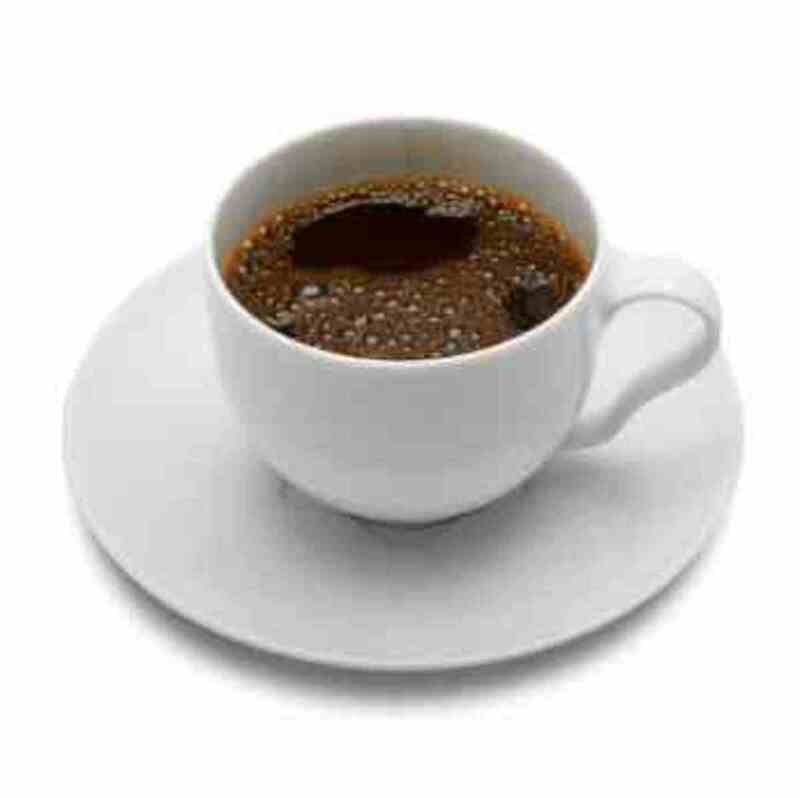 Very enjoyable (and informative) Post... oh, I'm sorry, I mean HUB! How wonderful, Nell. And so interesting coming right from Britain! Many teachers will be able to use this when teaching about Elizabeth I. If I was still teaching, I'd use this with my students. The photos and illustrations are wonderful also. Thanks for teaching all of us - I learned a few things about Eliz. too! Thanks alocsin, glad you liked it, just thought I would do something different this time! lol! Not just for kids, but for adults. But I'll try this out on some of my nephews and nieces. Voting this Up and Interesting. Very good Nell. Very well written. I enjoyed your little quiz as well. But why did you airbrush Mary queen of Scots out of the story? Did she not deserve a mention? Nell, you can always be counted on to provide a wealth of info for the topic at hand. Voted - up!